Where are my gaming spin-offs? The world of television has always featured spin-offs. The long running Frasier starred a character created in the world of Cheers. The Day Today brought us into contact with the comedy stylings of Alan Partridge. Even Hollyoaks found itself giving birth to a late night ‘adult’ variations of its tea-time teenage themes. Yet the video game world seemingly doesn’t wish to join in on this potential cavalcade of excitement. 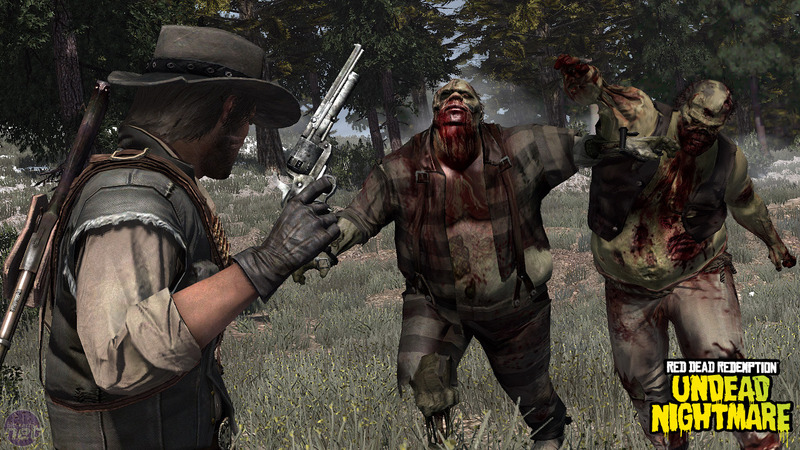 Recently the fantastic Red Dead Redemption was infested with zombies in Red Dead Redemption: Undead Nightmare, which has John Marston attempt to stop the zombie horde. It’s really quite blooming good fun and you can only assume it was pretty bloomin' cheap to produce too. So, it makes you wonder why so few successful series aren't seemingly eager to do the same. The superb Mass Effect 2 has received all kinds of plaudits for its deep, realistic characters that populate your crew. Wouldn’t it be fantastic if you could play the back story to the deeply troubled Jack? What about Captain Anderson and his murky past? Wouldn’t this be a fantastic way to expand a world we’ve all fallen in love with? These areas are explored more in books admittedly, but we want games! Could Undead Nightmare be the start of the gaming spin-off? Sadly, the type of spin-offs we're made to cope with are more along the lines of Mario Party or Sonic Spinball; games that take the central characters and simply put them in a new setting. Most of these games have no real need for such a famous and well known character, other than the bonus of an additional few copies sold at the tills due to their big name status. Personally, I'm desperate to see 'proper' spin-offs, along the same lines as Undead Nightmare. I’ve got a little hope that, due to ever rising cost of modern game development, publishers will be eager to see expensively created locales and art used multiple times. And if that means that Bioware allow me the chance to play out the years of Jack’s life before Commander Shephard came into her life, I’ll be a very happy chap indeed.